I was on track to either apply for Physician assisting school or Medical school when I changed my path to Chinese Medicine. I had always been interested in health, fitness, nutrition and herbs but just was not sure how I could incorporate that into a career. I was volunteering at the time at a kidney dialysis center, when I saw first-hand the dramatic and measurable improvements acupuncture had on a patient’s kidney function. I couldn’t help but start looking into acupuncture. I started reading about acupuncture, the five elements, how people were restoring health through natural sources and not chemical man made pharmaceutical. I couldn’t get enough of natural medicine. After that, I hurried up and finished my Bachelor's degree and enrolled in one of the leading academic colleges for natural health. At Bastyr University, in Seattle, Washington I spent the next 4 years learning the art and science of Chinese Medicine and Acupuncture. One of my greatest joys is to see people get healthier, to help them exceed their expectations and actualize their goals through natural medicine”. I’ve been practicing acupuncture and Chinese Medicine since 2006. I worked several years at one of the leading acupuncture clinics in Indiana treating more than 150 patients a week (that's typically a lot for an Acupuncturist). After a few years I decided to move to Las Vegas so I could share my knowledge with future OMD’s. As a Professor at Wongu University of Oriental Medicine, I take pride in instructing future doctors on herbology, nutrition, obgyn, and pediatrics. Being a part of the community and helping the valley expand the field of Chinese medicine is another proactive step in helping us all reach our health goals. 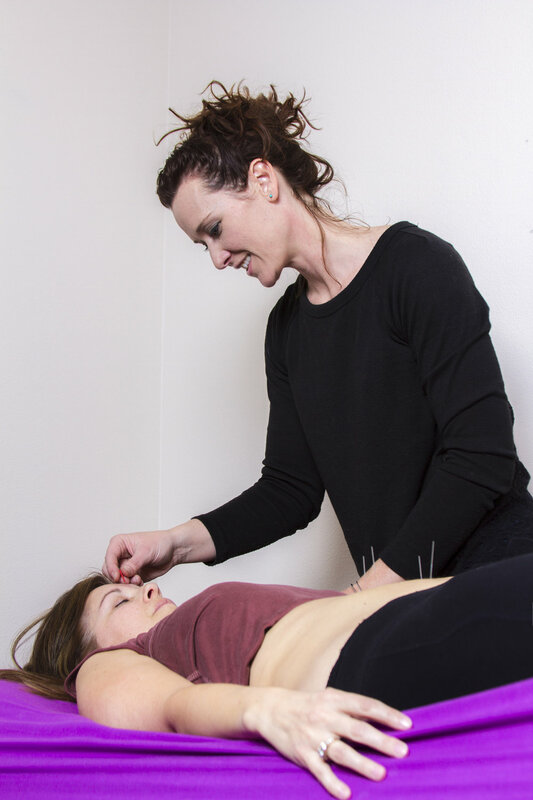 True Health Acupuncture is here to help make a difference in the lives of women, men, athletes, expectant mothers, and children. If you’re ready to stop just managing symptoms and ready to obtain health, your time is now. Join me on the path to true health and let's work together! A native of Las Vegas, Dr. Heather Roderick’s passion for helping others and her affinity for biology led to her first degree, which is in Veterinary Technology from Community College of Southern Nevada, followed by her bachelor’s degree in Biology from University of Nevada Las Vegas. It was during her time in the veterinary clinic that she was first introduced to acupuncture and its effectiveness. Her excitement for acupuncture grew when she started seeing patients that were once paralyzed who were walking after receiving acupuncture. Her excitement drove her to become a doctor of oriental medicine, and she is a proud graduate of the Pacific College of Oriental Medicine in San Diego. While working to become a doctor, Heather continued to suffer with the long-term challenges of endometriosis and infertility. She started acupuncture and herbs while in school and two children later, both of which she delivered naturally with no complications, Heather found her profound need to help other women overcome their fertility issues. With her first-hand experience of the effectiveness of acupuncture, herbology, self-care, and stress reduction, Heather began networking with women, practitioners, and patients to educate others on the power and potential of acupuncture to heal. 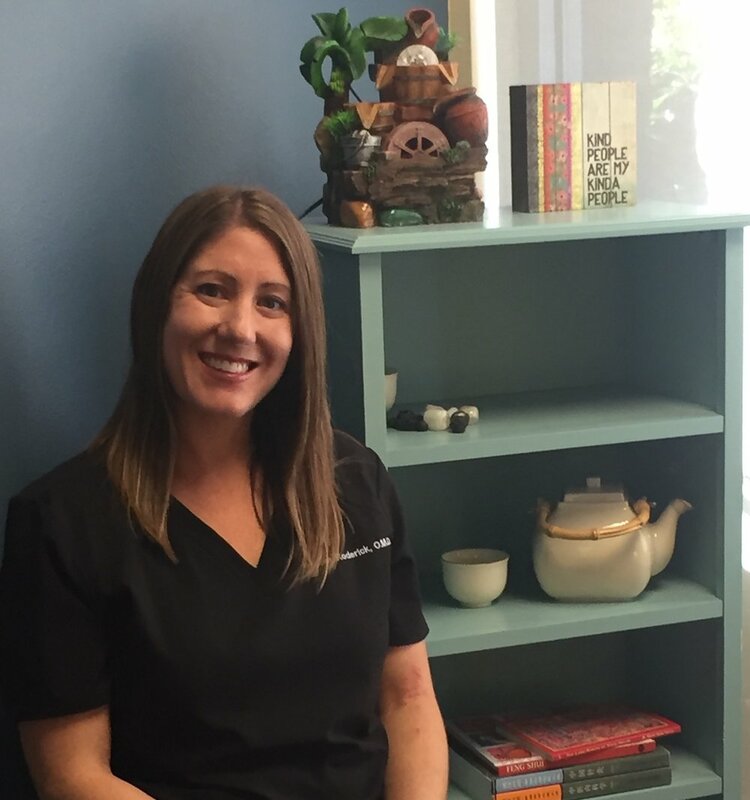 After practicing oriental medicine in San Diego, Heather returned home to Vegas with her husband and two vivacious little girls. Her husband is also an OMD, and they enjoy geeking out at night reading medical articles and sharing their love of acupuncture with their community. In the clinic, Heather applies her medical training with liberal amounts of care and attention to improve the health of each of her patients and achieve measurable results in infertility, pain reduction, insomnia, as well as a variety of other ailments that chip away at a good quality of life for so many. When you receive treatment from Heather, you get focused attention on the whole body…not just symptoms. She listens for root causes and focuses in on weakened organs and body systems to determine the best course for treatment and better health. She has a personal connection to energetic healing and believes the mind has power to support good health. When you become a patient of Dr. Heather’s, you become embraced by her intentions to help you achieve true health! During your initial consultation a complete medical history and evaluation of your health condition will be evaluated. The doctor will also ask you to stick out your tongue as this is a major diagnostic tool that is used in Chinese Medicine and then they will take your pulse, blood pressure and do any other necessary tests. Once the Doctor has done your assessment, then the process of placing needles into the body will occur. After all needles have been inserted, you will then relax on the treatment table for about 20-30 minutes. Who can use Acupuncture and Chinese Herbs? We treat from infants to adults! Chinese Herbs and acupuncture are safe and effective for infants, children, teens, adults and the elder. Other than an occasional bruise, there are no major side effects from Acupuncture. Most patients report positive effects such as relaxation and bliss. This is one of the most common questions asked about acupuncture because many people associate needles with pain. However, Acupuncture needles are much smaller than a hypodermic needle which is used to draw blood, or give a shot. Acupuncture needles are about the thickness of a hair and are virtually painless when inserted. After insertion patients may describe a sensation of tingling, heaviness, warmth, a slight itching or nothing at all. If you were to feel any discomfort you should inform the practitioner, who will adjust the needle to make you comfortable.